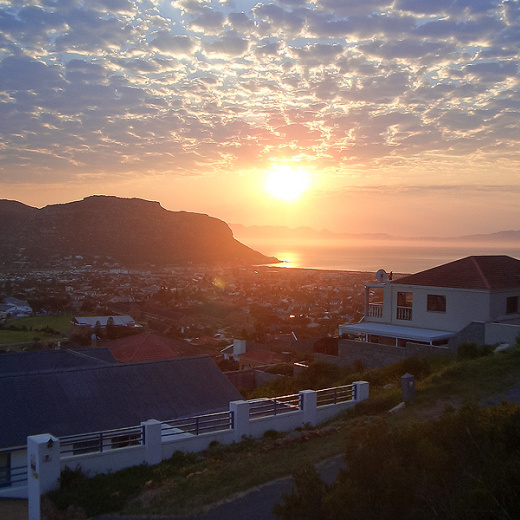 Situated on the mountainside in Fish Hoek, this charming self-catering cottage has sweeping views of the valley, mountains and sea. The views are equally gorgeous as night falls when the lights are visible in the valley and across the bay. 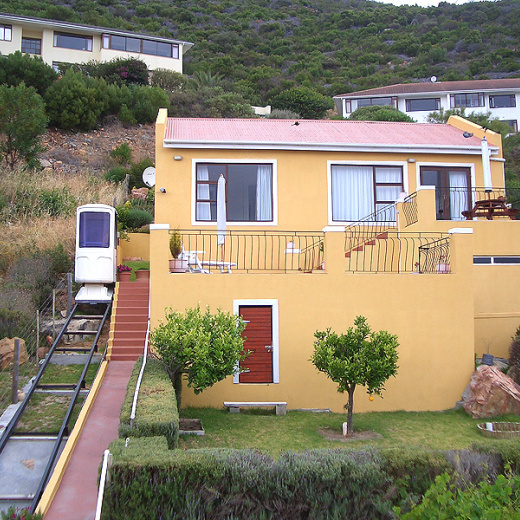 A recently installed funicular carries guests to the cottage, which comprises two comfortable bedrooms (sleeping five in two queen-size beds and a single). All bedding and towels are supplied. There are two bathrooms: one with shower, the other with bath. The open-plan kitchen is fully equipped with dishwasher, washing machine and tumble dryer and leads outside to a paved area with wash line and portable barbecue (braai). The lounge is equipped with satellite TV and DVD player. Double doors lead from the dining room onto a patio, which overlooks a deck and swimming pool. A five minute drive takes you to Fish Hoek beach, which is ideal for swimming, long beach walks and whale watching (in season). For the more active there are golf courses in nearby Clovelly and Simons town, surfing, boogie boarding, sailing, horse riding, hiking and walking trails. 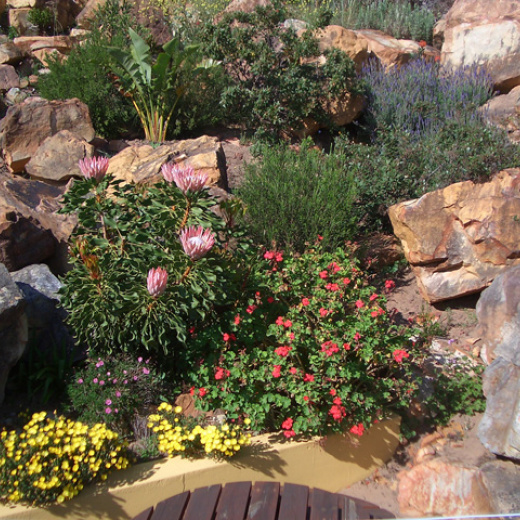 The cottage is about 40 minutes drive from Cape Town city centre and about 45 minutes from Cape Town International Airport.